Hey guys: no new recipes today. I just wanted to take 1 last opportunity to wish each and every one of you a a wonderful Holiday. May it be filled with great cooking, full houses, awesome gifts, and spectacular memories. Cause ultimately, that’s what it’s all about, right? 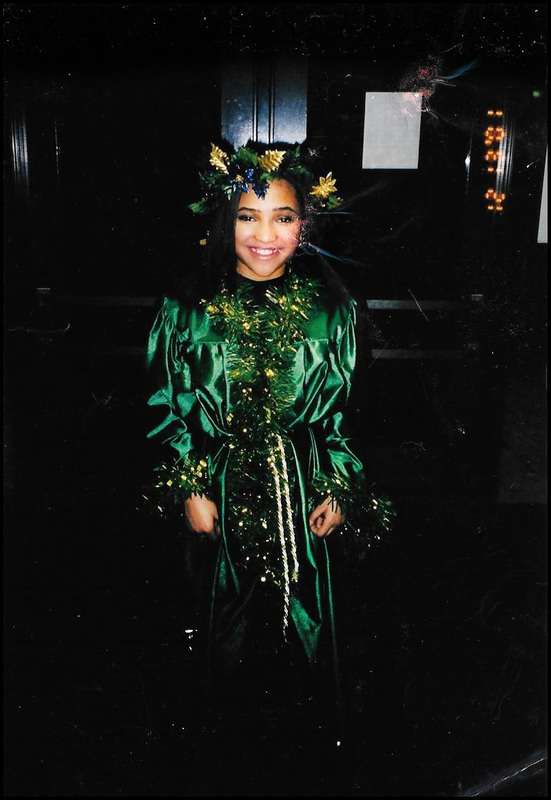 As a bonus, I’m even throwing in a picture from my 7th grade play of The Christmas Carol where I played the Ghost of Christmas Present that I talked about in my Cinnamon Wedding Cookies post. Me in 7th grade as the Ghost of Christmas Present in The Christmas Carol. Sorry for the poor image quality, the hallway was really dim. Ha, love the bell story the show went on despite the dropped bell and it was I am sure a great show. Merry Christmas to you and your family hope you have a wonderful day together, I know the food will be amazing!! Merry Christmas to you!!! Have an amazing holidays! What adorable pictures! Merry Christmas to you too! Thank you Bonnie- they’re alright I guess lol I hope your Christmas was awesome too! Such cute pictures. U lukin very pretty. Yay!!! You posted the dress picture. 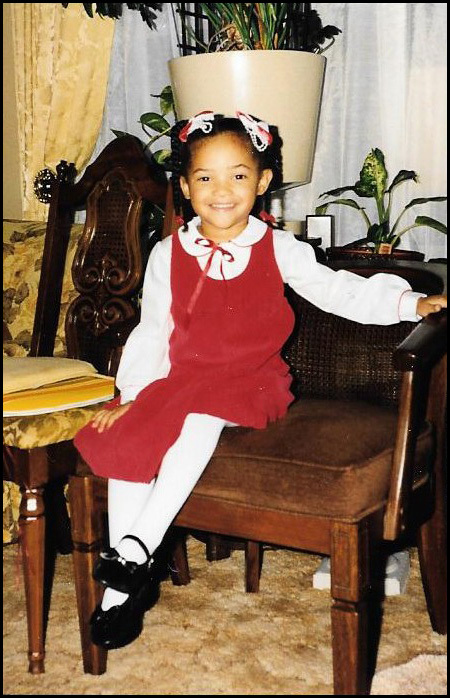 That dress is NOT hideous…it’s beautiful with your adorable little self in it!